Come To Mother Nature! 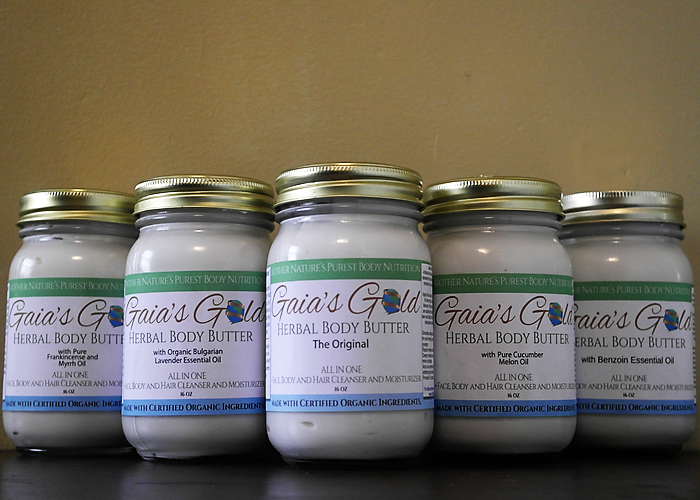 Healthy Skin With Gaia's Gold It's Butter For You! 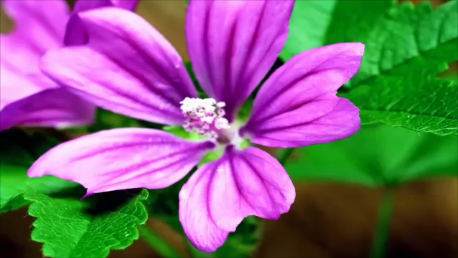 We are dedicated to providing the purest herbal personal care products for those looking to reach their optimum state of health the way Mother Nature intended.. Introducing BUILD A BUTTER™ Personalize Your Very Own Body Butter With The Best Ingredients To Meet Your Specific Needs! SAVE BIG WHEN YOU BUNDLE! ALL PACKAGES FREE SHIPPING! 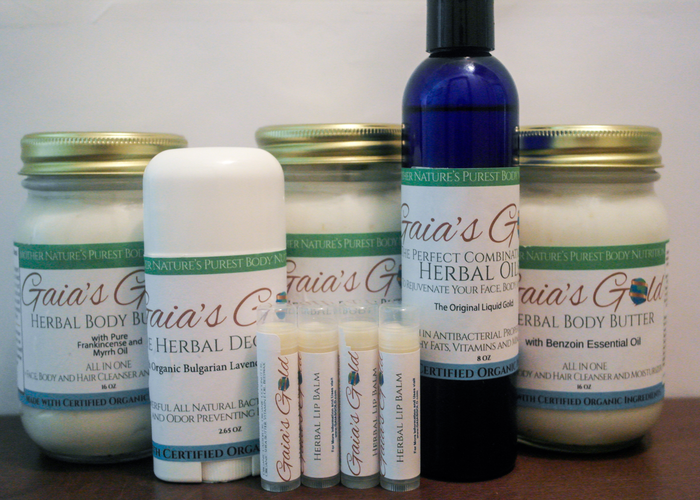 Gaia's Gold Complete Skin Care Packages Available With 3 Month Or 6 Month Supply At Discounted Prices! 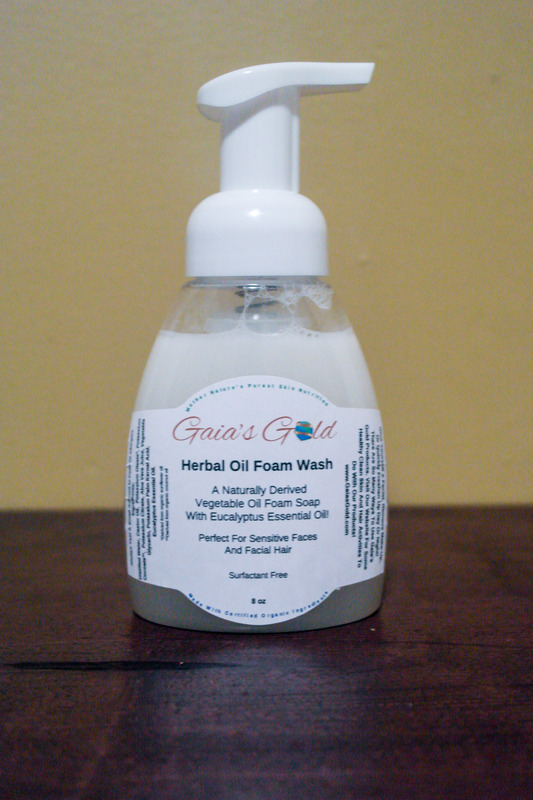 A Naturally Derived Vegetable Oil Foam Soap Perfect For Sensitive Faces And Facial Hair! 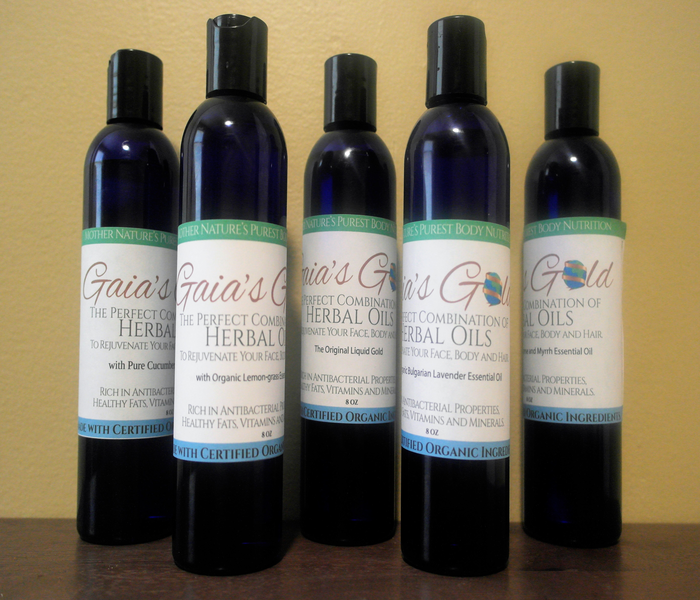 Available with pure cucumber melon oil, lemongrass essential oil, or eucalyptus essential oil. 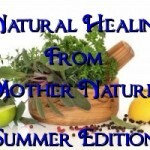 A Blend Of Powerful Essential Oils For A Variety Of Healing Purposes! Our Whipped Herbal Body Butter is a non-toxic organic plant derived face, body and hair all in one moisturizer especially adapted for delicate and sensitive skin. Available in natural aromas: Cucumber Melon, Frankincense and Myrrh, Lavender and Vanilla. 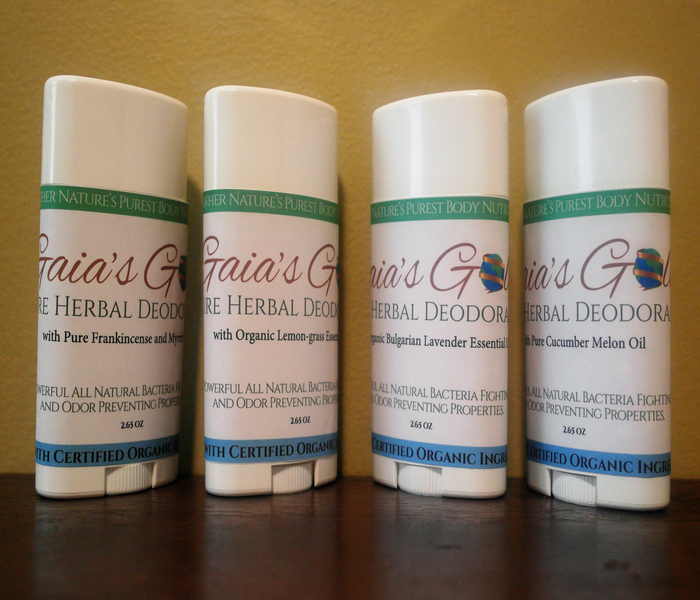 Our Herbal Deodorant is an antibacterial, moisturizing and stain free plant derived deodorant that absorbs sweat for an all day dry freshness. Available in natural aromas: Cucumber Melon, Lavender, Lemongrass, Frankincense and Myrrh and Vanilla Benzoin. 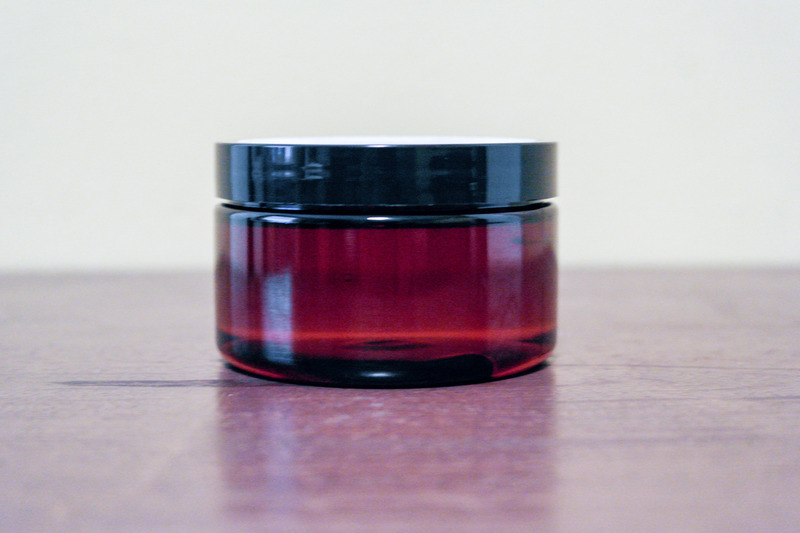 Our Liquid Gold Oil is the perfect combination of herbal oils to rejuvenate your face, body and hair. 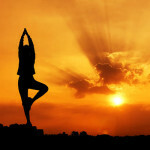 Available non-scented or with essential oils: Cucumber Melon, Frankincense and Myrrh, Lavender and Lemongrass. 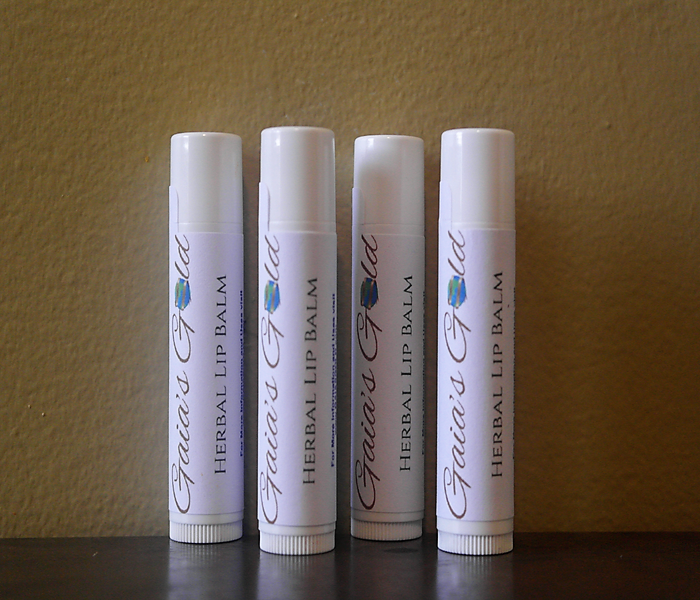 Our Lip Balm is a 100% Pure moisturizer that is also packed with healing properties! Not Just For Your Lips, Safe To Use All Over! Available with pure clove essential oil or flavors: Chocolate Mint, Mixed Berry and Vanilla.